We all know how important it is to have a fast internet connection. These days, everything from watching movies 4 Ways Watching Movies Used To Be More Fun 4 Ways Watching Movies Used To Be More Fun You might not have realized that your enthusiasm for movies is waning. It's no longer the good old days. and I'm sure watching movies used to be more fun... Read More to controlling your house How to Control Your Smart Home Using Apple Watch and Siri How to Control Your Smart Home Using Apple Watch and Siri The Apple Watch is incredibly versatile -- and now it can quickly and easily control your smart home using the Apple Home app and Siri. Read More is done via the web. But how do you make sure you’re getting what you’re paying for? ISPs are notorious for offering speeds “up to” a certain Mbps — most customers will never see the advertised speed unless they do all their browsing at 4 AM. The same applies when using a VPN. 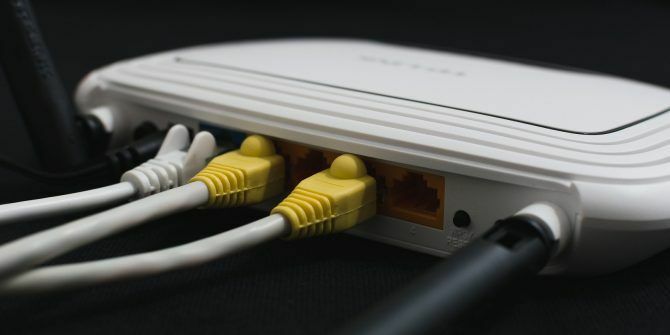 One of their biggest drawbacks is their impact on your connection 4 Useful Tips for When Your VPN Speed Is Slow 4 Useful Tips for When Your VPN Speed Is Slow If you're using a VPN but confused about why it's killing your internet speed, these tips may be just what you need to solve those issues. Read More . If you use a VPN, it’s worth investigating the level of impact it’s having. BandwidthPlace might not be as recognizable as other web apps that test your download and upload speed, but that doesn’t mean you should ignore it. Using the tool is straightforward. Fire up the web page and click the Start icon in the center of the speedometer. For a more refined test, choose your server from the drop-down menu before you begin. The speedometer’s needle will bounce around while your speed is measured. When complete, your result will be displayed in the chart on the right-hand side of the speedometer. As you can see, my internet speed here in Mexico is utterly miserable. On the positive side, it’s enough to handle Netflix and watch live BBC iPlayer! BandwidthPlace uses your IP address to track your history. Click the My Results icon to see all your tests, along with average speed, top speed, and other useful data. Lastly, you can share your result on the various social media platforms by clicking the Share button. Is BandwidthPlace the Best Tool? BandwidthPlace is in a crowded market. There are lots of apps out there that perform a similar function. Is BandwidthPlace the best or do you use something else? You can let us know in the comments below. Explore more about: Internet, Troubleshooting. This is just custom flash for speedtest. It uses the speedtest api.